New technology is intimately associated with increased economic growth. The tools people have and when they acquired them tells us much about cyclical patterns of growth. Those interested in encouraging economic growth would do well to look to the conditions that spur the origins, development, and impact of technology - as well as the circumstances that spur prolific periods of invention, the mother of technology. Despite general recognition of the connection between technology and growth, economists rarely have gotten to the heart of the relationship. Joseph Schumpeter and John Hicks were aware of the role of technology in cyclical variability, but their thoughts were not elaborated upon after they passed from the scene. 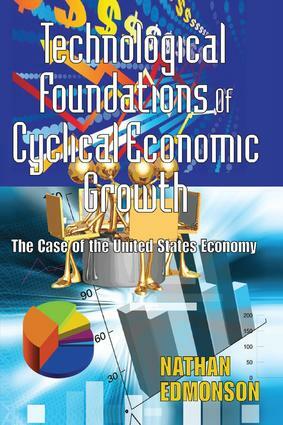 Edmonson goes beyond formal theory, reviewing the record of economic growth and the role of technology in this growth. What does the technology future hold? One clue is where past prototype inventions that that have fomented massive technological innovations have come from. Some parts of the private sector, such as Bell Labs, have been important. The government, particularly in its sponsorship of defense related research, has delivered a number of inventions. Universities are very much in the picture in certain fields, such as nanotechnology. The challenges we face at the onset of the twenty-first century are covered in depth and with imagination by Edmonson. The book will spur much rethinking about economic futures.